The most extremist pseudo-Sunni movement today is Wahhabism (also known as Salafism). While many may think that Wahhabi terror is a recent phenomenon that has only targeted non-Muslims, it will surprise many to know that the orthodox Sunni Muslims were the first to be slaughtered in waves of Wahhabi massacres in Arabia. One only has to read the historical evolution of Saudi Arabia to know the gruesome details of the tragedy – a tragedy in which thousands of Sunni and Shi’ite Muslims perished at the hands of Wahhabi militants. The extremist interpretations of Wahhabism, although previously confined to small pockets of people in Arabia, has survived to this day under the protection, finance, and tutelage of the Saudi state religious organs. This has transformed Wahhabism – and related Salafi groups that receive inspiration and support from them – from a regional to a global threat to be reckoned with by the world community. To a Wahhabi-Salafi, all those who differ with them, including Sunni Muslims, Shi’ite Muslims, Christians, and Jews, are infidels who are fair targets . Do the majority of Sunnis support Wahhabism? Are Sunnis and Wahhabis one and the same? Because Wahhabis claim to be “true Sunnis,” it is difficult for one who is unfamiliar with Wahhabism to distinguish it from orthodox Sunni Islam. If a Wahhabi is asked if he/she is Sunni, he/she will always reply in the affirmative. When asked if they are Wahhabis, they reply with an emphatic “no” as they consider it an insult to what they believe and stand for: “Purity of worship and reverence to God alone. The authentic carriers of Islam from the time of the Prophet (s) until now.” Calling them Wahhabis implies that they learned ideas from a man – Muhammad ibn Abdul-Wahhab – instead of the Qur’an and Sunnah – the two great sources of Islam. Irrespective of what they think, they are not following the Islamic sources authentically, but the wrong interpretations of the founder of the Wahhabi movement who appeared in the 1700s. Sunnis and other Wahhabi detractors have labeled them as Wahhabis to differentiate them from orthodox Sunnis. Wahhabis differentiate themselves from orthodox Sunnis by labeling themselves Salafis, which refers to the word salaf – the time period in which the early Muslims lived in the first 300 years after the Hijra, or emigration, of Prophet Muhammad from Mecca to Medina in 622. The Companions (Sahaba), those who followed the Companions (Tabi’een), and those who followed those who followed the Companions (Taba al-Tabi’een) who lived in the time period of the Salaf are exemplars par excellence of what Muslims should be, as Prophet Muhammad (s) had praised these Muslims as being the best of Muslims. Therefore, it has been the aim of every Muslim since the time of Prophet Muhammad (s) to adhere to and to follow the footsteps of the adherents of the salaf. This means that when a Wahhabi calls himself a Salafi, he claims to be a genuine follower of pristine Islam. This, however, is far from the truth. Orthodox Sunni Muslims believe that they are the true bearers of pristine Islam since the time period of the Salaf. Because there were time gaps between the noble period of the Salaf and centuries that followed, the authentic positions of the early Muslims were passed by scholars in those times and afterwards to later generations via meticulous, systematic, and methodological means of preservation. The knowledge was passed from qualified scholars to other qualified scholars through the centuries, who passed it to the masses. This uninterrupted chain of knowledge from the time of the Salaf until now has been authentically preserved by the orthodox Sunnis. Orthodox Sunnis, therefore, have roots in the Salaf, and are represented today by the four surviving authentic schools of Islamic jurisprudence: Hanafi, Shafi’i, Maliki, and Hanbali schools (madhahib). The Wahhabis, by calling themselves Salafis, not only claim to follow the footsteps of the early Muslims, but also use semantics to fool and allure less informed Muslims into accepting Wahhabism. Wahhabis say, “You must follow the Muslims of the Salaf.” (This is undoubtedly true.) Then the Wahhabi semantics: “Therefore you must be a Salafi and nothing else. Following anything else means you’re following a path that is different from the Muslims of the Salaf.” By such deceptive semantics, the less informed Muslims believe that Salafismust truly represent the pristine interpretations of the early Muslims of the Salaf. After all, the word Salafi sounds like Salaf, so it must truly be representative of it. Far from it. When the less informed goes beyond semantics and blind faith and investigates what a Salafi believes, the truth unveiled is that the understanding of Salafis (Wahhabis) is different and contradictory to the understanding and positions of the pious Muslims who lived in the Salaf – and the majority of Muslims who have ever lived (Sunnis). The Wahhabi-Salafis believe that Sunnis have been vehemently wrong for the past 1,000+ years and aim to bring the Muslims out of a state of ignorance (jahilliyya) that has existed, in their minds, since the time of the pious adherents of the Salaf. Even if the majority of orthodox Sunni Muslims were strong today, indeed if they ruled an empire that stretched far to every corner of the globe, it would still be a failure to Salafis because to them the foundations of such a political system would have been based on reprehensible innovation (bid’a) and blasphemy (kufr). To the Salafi, the presence and power of Sunni orthodoxy, in all of its manifestations as illustrated throughout Islamic history, is just as impure as the rising European hegemony in all of its manifestations since the demise of the Muslim Ottoman Empire. To the Salafis, a minority in this world, the world is an abode of blasphemy, ruled and occupied by infidels that demands reformation through both non-violent and violent means to bring about a supposedly pure Islamic world system. Wahhabi-Salafis come in various strains, some being more extreme than others. The variety in strains is due to differences in approach of bringing the Muslims back to a state of strengthened belief based on the example of the pious ancestors. It must be emphasized that although all Wahhabis are called Salafis, all Salafis are not purely Wahhabi. “Salafi Muslims” include those like Syed Qutb who wish to eradicate the supposed current state of ignorance (jahiliyya) and bring Muslims back to a state of purity – a purity reminiscent of the purity of Muslims who lived in the time period of the Salaf. However, all Salafi Muslims, whether they are Wahhabi or Qutbi, admire with exaggeration the role models Muhammad ibn Abdul-Wahhab and Ahmad Ibn Taymiyah, whose hard-line interpretations have inspired revolutionaries today. Therefore, although all Salafis are not Wahhabis, they admire many of the same rolemodels – role models who have been rejected and condemned by masses of orthodox Sunni scholars for their unauthentic representations of pristine Islam. It can also be said that all Wahhabis consider themselves to be Salafis and prefer to be called by this name (instead of Wahhabi), even though differences exist between Salafi groups. Although there are differences in approach among Salafis, they have nonetheless allied themselves in an attempt to make the Salafi vision a reality by both non-violent and violent means. An example of this are the Salafi-oriented Deobandis and their alliance with the Wahhabis. The alliance between the Muslim Brotherhood (and its various factions and offshoots) and the Wahhabis in Saudi Arabia was strengthened during the 1950s and 1960s in the struggle of the Muslim Brotherhood against Egypt’s Nasserist regime. Saudis had provided refuge for some leaders of the Brotherhood, and also provided assistance to them in other Arab States. The Wahhabi-Salafi alliance was further strengthened as a response to the growing threat ofShi’ah power when the Ayatollah Ruhollah Khomeini of Iran revolted and overthrew the U.S.-allied Shah in 1979. Lastly, the alliance made itself manifest in the holy struggle (jihad) against the atheist/Communist Soviets in Afghanistan. Salafis of all strains worked together as the “righteous Sunnis” to counter the Shi’ah-Communist threat, from proselytizing to killing to make their Salafism prevail. Indeed, Salafis have used both proselytizing and revolutionary means to express their message using both political and apolitical approaches. So-called “Sunni terrorism” today is perpetrated by radical Salafis who desire to replace “infidel” governments with myopic “scholars” who adhere to their fanatical interpretations and ideologies. Their tentacles are spread to all corners of the globe, including Bosnia, Albania, Indonesia, Philippines, Uzbekistan, England, Malaysia, South Africa, Lebanon, Afghanistan, and Pakistan. Salafis have demonstrated the havoc they are capable of wreaking in recent decades. The Wahhabis are especially notorious for reviving the ways of the Khawarij (or Kharijites). They originated in the time of the caliphates of Uthman and Ali, among the closest companions to Prophet Muhammad. They were the earliest group of fanatics who separated themselves from the Muslim community. They arose in opposition to Ali – Prophet Muhammad’s son-in-law – because of his willingness to arbitrate with Mu’awiyah, governor of Damascus at that time, over the issue of the caliphate. The Khawarij, meaning “those who exited,” slung accusations of blasphemy against Ali and Mu’awiyah – and those who followed them – saying that the Qur’an, and not them, had the ultimate authority in the matter. Ibn al-Jawzi, an orthodox Sunni scholar, in his book Talbis Iblis (The Devil’s Deception) under the chapter heading “A Mention of the Devil’s Delusion upon the Kharijites,” says that Dhu’l-Khuwaysira al-Tamimi was the first Kharijite in Islam and that “[h]is fault was to be satisfied with his own view; had he paused he would have realized that there is no view superior to that of Allah’s Messenger…” Furthermore, the orthodox Sunni scholar Imam Abd al-Qahir al-Baghdadi discusses the Kharijite rebellions and their bloody massacres of tens of thousands of Muslims in one of his books. He explicitly mentions the Azariqa, one of the most atrocious Kharijite movements led by Nafi’ ibn al-Azraq from the tribe of Banu Hanifa – the same tribe where the heretic Musaylima the Prevaricator (or Liar) who claimed prophethood alongside Prophet Muhammad came from. Just as the Khawarij threw accusations of blasphemy on Ali and Mu’awiya, Wahhabis throw accusations of blasphemy against Sunnis and Shi’ites. Until [Muhammad ibn Abdul-Wahhab’s] coming the Al Sa`ud ‎ had been a minor sheikhly clan like many others in Nejd, townsmen and farmers, making a comfortable living from trade, dates and perhaps a little horse-breeding, combining with the desert tribes to raid outwards when they felt strong, prudently retrenching in times of weakness. Modestly independent, they were in no way empire builders, and it is not likely that the wider world would ever have heard of them without their alliance with the Teacher. The al-Sa`ud are originally from the village of ad-Diriyah, located in Najd, in eastern Arabia situated near modern day Riyadh, the capital of Sa`ud‎i Arabia. Ancestors of Sau’ud Ibn Muhammad, whom little is known about, settled in the area as agriculturists and gradually grew in number over time into the clan of al-Sa`ud ‎. Muhammad ibn Abdul-Wahhab was raised in Uyainah, an oasis in southern Najd, and was from the Banu Tamim tribe. He came from a religious family and left Uyainah in pursuit of Islamic knowledge. He traveled to Mecca, Medina, Iraq, and Iran to acquire knowledge from different teachers. When he returned to his homeland of Uyainah, he preached what he believed to be Islam in its purity – which was, in fact, a vicious assault on traditional Sunni Islam. Moreover, Ibn `Abdul-Wahhab’s own father had warned Muslims from him, as did his biological brother, Sulayman Ibn `Abdul-Wahhab, an orthodox Sunni scholar who refuted him in a book entitled al-Sawa’iq al-Ilahiyya fi al-radd `ala al-Wahhabiyya [“Divine Lightnings in Refuting the Wahhabis”]. Ibn `Abdul-Wahhab was refuted by the orthodox Sunni scholars for his many ugly innovations. Perhaps his most famous book, Kitab at-Tawheed (Book of Unity of God) is widely circulated amongst Wahhabis worldwide, including the United States. His book is popular in Wahhabi circles, although orthodox Sunni scholars have said that there is nothing scholarly about it, both in terms of its content and its style. It is worth giving an overview of a man named Ahmed Ibn Taymiyah (1263-1328) who lived a few hundred years before Muhammad ibn `Abdul-Wahhab. The Wahhabi founder admired him as a role model and embraced many of his pseudo-Sunni positions. Who exactly was Ibn Taymiyah and what did orthodox Sunni scholars say about him? Muslim scholars had mixed opinions about him depending on his interpretation of various issues. His straying from mainstream Sunni Islam on particular issues of creed (`aqeedah) and worship (`ibadat) made him an extremely controversial figure in the Muslim community. Ibn Taymiya has won the reputation of being the true bearer of the early pious Muslims, especially among reformist revolutionaries, while the majority of orthodox Sunnis have accused him of reprehensible bid’ah (reprehenisible innovation), some accusing him of kufr (unbelief). (12) His classifying of oneness in worship of Allah (tawheed) into two parts: Tawhid al-rububiyya and Tawhid al-uluhiyya, which was never done by pious adherents of the salaf. It is important to emphasize that although many of the positions of Ibn Taymiyah and Wahhabis are identical, they nonetheless contradict each other in some positions. While Ibn Taymiyah accepts Sufism (Tasawwuf) as a legitimate science of Islam (as all orthodox Sunni Muslims do), Wahhabis reject it wholesale as an ugly innovation in the religion. While Ibn Taymiyah accepts the legitimacy of commemorating Prophet Muhammad’s birthday (Mawlid) – accepted by orthodox Sunni Muslims as legitimate – Wahhabis reject it as a reprehensible innovation that is to be repudiated. Ibn Taymiyah is an inspiration to Islamist groups that call for revolution. Kepel says, “Ibn Taymiyya (1268-1323) – a primary reference for the Sunni Islamist movement – would be abundantly quoted to justify the assassination of Sadat in 1981…and even to condemn the Saudi leadership and call for its overthrow in the mid-1990s”. Sivan says that only six months before Sadat was assassinated, the weekly Mayo singled out Ibn Taymiyya as “the most pervasive and deleterious influence upon Egyptian youth.” Sivan further says that Mayo concluded that “the proliferating Muslim associations at the [Egyptian] universities, where Ibn Taymiyya’s views prevail, have been spawning various terrorist groups.” Indeed, a book entitled The Absent Precept, by `Abd al-Salam Faraj – the “spiritual” leader of Sadat’s assassins who was tried and executed by the Egyptian government – strongly refers to Ibn Taymiyya’s and some of his disciples’ writings. Three of four of Sadat’s assassins willingly read a lot of Ibn Taymiyya’s works on their own. Ibn Taymiyah is also noted to be a favorite of other Salafi extremists, including the Muslim Brotherhood’s Syed Qutb. Ibn Taymiyyah’s student, Ibn Qayyim al-Jawziyyah, is also frequently cited by Salafis of all colors. In fact, Ghazan Khan was a firm believer in Islam. Al-Dhahabi relates that he became a Muslim at the hands of the Sufi shaykh Sadr al-Din Abu al-Majami’ Ibrahim al-Juwayni (d.720), one of Dhahabi’s own shaykhs of hadith….During his rule he had a huge mosque built in Tabriz in addition to twelve Islamic schools (madrasa), numerous hostels (khaniqa), forts (ribat), a school for the secular sciences, and an observatory. He supplied Mecca and Medina with many gifts . He followed one of the schools (madhahib) of the Ahl al-Sunna [who are the orthodox Sunnis] and was respectful of religious scholars. He had the descendants of the Prophet mentioned before the princes and princesses of his house in the state records, and he introduced the turban as the court headgear. Muhammad ibn ‘Abdul-Wahhab would later follow Ibn Taymiyah’s footsteps and slaughter thousands of Muslims in Arabia. Ibn Taymiyah was imprisoned by a fatwa (religious edict) signed by four orthodox Sunni judges in the year 726 A.H for his deviant and unorthodox positions. Note that each of the four judges represents the four schools of Islamic jurisprudence that Sunni Muslims belong to today. This illustrates that Ibn Taymiyah did not adhere to the authentic teachings of orthodox Sunni Islam as represented by the four schools of Sunni jurisprudence. There is no evidence to indicate that there was a “conspiracy” against Ibn Taymiyyah to condemn him, as Wahhabis and other Salafis purport in his defense. The names of the four judges are: Qadi [Judge] Muhammad Ibn Ibrahim Ibn Jama’ah, ash-Shafi’i, Qadi [Judge] Muhammad Ibn al-Hariri, al-`Ansari, al-Hanafi, Qadi [Judge] Muhammad Ibn Abi Bakr, al-Maliki, and Qadi [Judge] Ahmad Ibn `Umar, al-Maqdisi, al-Hanbali. Some orthodox Sunni scholars who refuted Ibn Taymiyya for his deviances and opposition to the positions of orthodox Sunni Islam include: Taqiyy-ud-Din as-Subkiyy, Faqih Muhammad Ibn `Umar Ibn Makkiyy, Hafiz Salah-ud-Din al-`Ala’i, Qadi, Mufassir Badr-ud-Din Ibn Jama’ah, Shaykh Ahmad Ibn Yahya al-Kilabi al-Halabi, Hafiz Ibn Daqiq al-`Id, Qadi Kamal-ud-Din az-Zamalkani, Qadi Safi-ud-Din al-Hindi, Faqih and Muhaddith `Ali Ibn Muhammad al-Baji ash-Shafi’i, the historian al-Fakhr Ibn al-Mu`allim al-Qurashi, Hafiz Dhahabi, Mufassir Abu Hayyan al-`Andalusi, and Faqih and voyager Ibn Batutah. Famous writers of the day made a point of noting the similarity between Ibn ‘Abdul-Wahhab’s beginnings and those of the false prophets prominent in Islam’s intial epoch like Musaylima the Prevaricator, Sajah al-Aswad al-Anasi, Tulaiha al-Asadi and others of his kind . Fenari says that although Najd is closest to to the holy cities of Mecca and Medina, it has only been dispraised by Prophet Muhammad (s) in authentic traditions. He raises another interesting point that while many Arabian tribes were praised by Prophet Muhammad, the Banu Tamim – the most well known tribe of Central Arabia where Muhammad ibn `Abdul Wahhab was from – is praised only once. Moreover, authentic traditions that “explicitly critique” the Banu Tamimites are far more numerous. Ibn al-Jawzi, an orthodox Sunni scholar, documents the evolution of the Kharijite movements and illustrates how the tribe of Banu Tamim played a leading role in it. Imam Abd al-Qahir also states that the Tamimites – and the Central Arabians in general – were intimately involved in the Kharijite rebellions against the Muslims, contrasting their immense contribution to the minimal contribution of members of the tribes of Medina and Yemen. It is from Banu Tamim where a man name Abu Bilal Mirdas came from, who, although being a relentless worshipper, turned out to be one of the most barbaricKharijite fanatics. “He is remembered as the first who said the Tahkim – the formula ‘The judgment is Allah’s alone’ – on the Day of Siffin, which became the slogan of the later Kharijiteda’wa.” It is reminiscent of what Wahhabis say today – that they strictly adhere to nothing but the Qur’an and Sunnah – although it is merely a jumble of words without coherent meaning. Najda ibn Amir of the tribe of Banu Hanifa was a Kharijite whose homeland was Najd, and the best known woman among the Kharijites was a Tamimite named Qutam bint `Alqama. It is fascinating to see that fanatics of all types came from a region where the fanatic Muhammad ibn Abdul-Wahhab came from. With the ferocious zeal of a “divine” mission, aimed at terminating what they perceived as the filthy polytheistic scum of Arabia, the Wahhabi army led by Muhammad ibn Sa`ud ‎first destroyed graves and objects in Najdi towns and villages that were used for what they condemned as “polytheistic practices.” The Wahhabi movement mustered supporters who rallied behind their cause, increased the size of their army, and successfully united most of the people of Najd under the banner of Wahhabism by 1765. The assault and “jihad”of Wahhabism did not stop after the death of Muhammad ibn Sa`ud ‎ in 1765, but continued with unrelenting and barbaric force under the leadership of his son, Abdul-Aziz, who captured the city of Riyadh in 1773. Muhammad Ibn Abdul-Wahhab died a year earlier but left four sons who continued spreading Wahhabism and strengthened theWahhabi family’s alliance with the Al-Sa`ud ‎. Later, in 1801, the Wahhabi army marched to Karbala with a force of 10,000 men and 6,000 camels. Upon reaching Karbala, they mercilessly and indiscriminately attacked its inhabitants for eight hours, massacring about 5,000 people. Moreover, they severely damaged Imam Hussein’s mosque, looted the city, and left the carnage-laden city with its treasures on 200 camels. This holocaust won the Wahhabi criminals the unforgiving hatred and wrath of the Shi’ite and Sunni Muslims, who, until this day, curse them passionately. The Shi’ite Muslims consider Imam Hussein, a grandson of Prophet Muhammad (s), one of the most sacred figures and his tomb one of the most sacred sites on earth. Every year, thousands of Shi’ites gather at the site to commemorate the death of Imam Hussein. Visiting Karbala one is indeed filled me with awe and spiritual strength even as a devout Sunni. Shi’ite wrath, of course, didn’t mean much to the Wahhabis. The Shi’ites, along with the Sunnis, had already been labeled as “blasphemers” for practicing tawassul andtabarruk. What are these practices? Are they part of Sunni Islam or not? When doing tawassul, the source of blessings (barakah) when asking Allah through an intermediary is Allah – not the intermediary. The intermediary is simply a means to ask Allah for things. Although it is not necessary for a Muslim to use a pious intermediary when asking Allah, it is recommended because it was a practice of Prophet Muhammad (s), the Companions (ra), and of the great scholars of Islam (ra). It is not only prophets and saints (in their graves) that are used as means to asking Allah. A Muslim can also ask Allah through relics (tabarruk) that belonged to pious people, and may even use amulets with verses on the Qur’an on them as a means of asking God for protection from evil. It is not the means that provides protection, but Allah. Although Sunnis, Shi’ites, and Wahhabis believe that tawassul by one’s good deeds, a name or attribute of God, or intercession by someone who is alive and present is permissible,Wahhabis accuse Sunnis (and Shi’ites) of committing shirk (attributing partners in worship to God) when doing tawassul through an intermediary who is not alive or present (in the worldly life). That is, to a Wahhabi, tawassul through an intermediary who has died and is in his grave is ugly blasphemy. This is critical to know because this is the primary reason why Muhammad ibn `Abdul-Wahhab and the Al-Sa`ud ‎ criminals that collaborated with him massacred many Muslims in the Arabian peninsula. Muslims had been doing this form of tawassulfor over 1,000 years but the Wahhabis believed it was blasphemy that had to be exterminated by the sword. What Wahhabis were doing in actuality was massacring orthodox Sunni Muslims, even though they foolishly believed they were fighting against evil blasphemors that didn’t deserve to live. Wahhabis were not following the footsteps of the pious Salaf, but the footsteps of Ibn Taymiyyah who a couple of hundred years before them denounced that particular form of tawassul as sinful. Wahhabis today forbid Muslims from doing tawassul through Prophet Muhammad, and have enforced strict rules around his grave in Medina, Saudi Arabia. It is for this reason that Wahhabis forbid Muslims from visiting the graves of pious Muslims, and have destroyed markings on graves to prevent Muslims from knowing the specific spots where saints are buried. Yet, it is interesting to note the hypocritical nature of the Wahhabiswhen they had refused the demolishing of the grave of Ibn Taymiyah in Damascus, Syria to make way for a road. Somehow, this is not “polytheism” to them, but it is “polytheism” for the majority of the Islamic community. 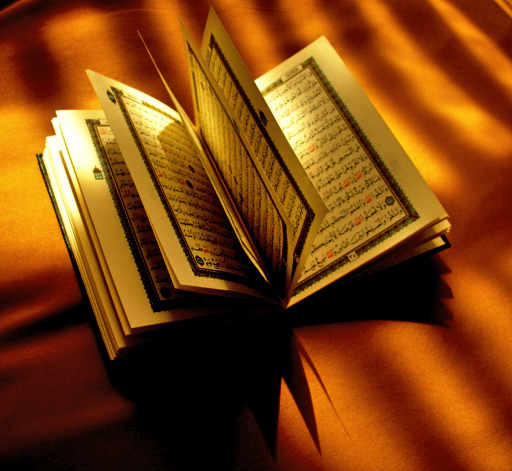 Wahhabis wrongly accuse orthodox Sunnis of committing shirk (polytheism) when asking God for something using an intermediary, whether the means is a pious human being in his grave, objects (tabarruk), or seeking protection from God using amulets with verses of the Qur’an written on them (ruqya). The Wahhabi believes that asking God for something through a means is the same as worshipping the means itself. That is, for people who do tawassul through a pious saint in his grave is asking the pious saint – and not God – for things. People who do tabarruk through a relic of Prophet Muhammad (s) are asking the relic – and not God – for blessings, and people who wear ruqya are asking the ruqya itself for protection – and not God. When a Muslim visits the Prophet Muhammad’s (s) grave and calls on the Prophet (s), “Oh Prophet,” (Ya Rasulullah), the Wahhabis accuse such a person of worshipping the Prophet (s) and refuse to accept the understanding that the Prophet himself is a means to asking God for things. Such an act to Wahhabis drives a Muslim out of the realms of the religion of Islam. In sum, the Wahhabis believe that such people are worshipping creation alongside God, and are therefore guilty of polytheism – attributing partners in worship to God. The people of Najd had lived in a condition that could not be approved of by any believer. Polytheism had appeared there and spread widely. People worshipped domes, trees, rocks, caves or any persons who claimed to be Auliya (saints) though they might be insane and idiotic. There were few to rise up for the sake of Allah and support His Religion. Same was the situation in Makkah and Madinah as well as Yemen where building domes on the graves, invoking the saints for their help and other forms of polytheism were predominant. But in Najd polytheistic beliefs and practices were all the more intense. In Najd people had worshipped different objects ranging from the graves, caves and trees to the obsessed and mad men who were called saints. When the Sheikh [Ibn Abdul-Wahhab] saw that polytheism was dominating the people and that no one showed any disapproval of it or no one was ready to call the people back to Allah, he decided to labour singly and patiently in the field. He knew that nothing could be achieved without jihad (holy fighting), patience and suffering [italics mine]. Orthodox Sunnis, however, have never claimed to worship the means, but only God. Because Wahhabis didn’t tolerate this, they massacred thousands of Muslims who they saw as being “polytheists” in Arabia. In actuality, they were Sunni Muslims who were following Islam in its purity as taught by the pious ancestors that lived in the time period of the Salaf. He has neither corporeal body nor is He a formless spirit. He has a form befitting His majesty [italics mine], the like of which no man has ever seen or conceived, and which will only be seen (to the degree of man’s finite limitations) by the people of paradise. Discussing each part of his statement will shed light into his anthropomorphic mind. Bilal Philips says that “Allah has a form befitting His majesty…” What he confirms in his mind is that Allah definitely has a form. He even specifies the kind of form by saying: “He [Allah] has neither corporeal body…” meaning that Allah has a form that is not like the forms of creation, and then says, “nor is He a formless spirit. Then he says, “He has a form befitting His majesty…” The problem with such statements to a Muslim is that they express blatant anthropomorphism. What Bilal Philips is doing here is foolishly attributing a “form” to God that, in his mind, nobody has ever seen. Therefore, Bilal Philips believes that God has some type of form, or non-corporeal body. No orthodox Sunni Muslim scholar has ever said such a perfidious thing. A person commits an act of disbelief (kufr) if he says Allah is a body, even if he says: Allah is a body but not like other bodies. The expressions are taken from language and from Islam, and linguists applied ‘body’ to a thing that has length, width, thickness, form, structure, and components. The expression has not been handed down in Shari’ah. Therefore, it is invalid and cannot be used. Imam Ahmed is a pious adherer of the time period of the Salaf that was praised by Prophet Muhammad (s). How can Bilal Philips claim to represent the pious forefathers of the Salaf? He not only contradicts them but is vehemently refuted by them. The great pious predecessors had refuted ignoramuses like Bilal Philips in their times long ago. Blatant anthropomorphism is also illustrated by the Wahhabi Ibn Baz’s commentary on the great work of Imam Abu Ja’afar at-Tahawi called “Aqeedah at-Tahawiyyah” (The Creed of Tahawi), a work that has been praised by the orthodox Sunni community as being representative of Sunni orthodoxy. The now deceased Ibn Baz was Saudi Arabia’s grand Mufti. He is beyond having limits placed on Him, or being restricted, or having parts or limbs. Nor is He contained by the six directions as all created entities are. Allah is beyond limits that we know but has limits He knows. By hudood (limits) the author [referring to Imam Tahawi] means [limits] such as known by humans since no one except Allah Almighty knows His limits. Ibn Baz deceptively attempts to represent the noble Sunni Imam al-Tahawi as an anthropomorphist by putting his own anthropomorphic interpretation of Imam Tahawi’s words in his mouth. It must be emphasized that not a single orthodox Sunni scholar understood Imam Tahawi’s statement as Ibn Baz did. As for Ahl ul-Sunna – and these are the Companions and those who followed them in excellence – they assert a direction for Allah, and that is the direction of elevation, believing that the Exalted is above the Throne without giving an example and without entering into modality. Allah’s establishment on the throne means that He is sitting ‘in person’ on His Throne. Just as Bilal Philips affirms a form to Allah in his mind, and Ibn Baz confirms limits to Allah in his mind, al-Uthaymeen confirms that Allah is literally sitting ‘in person’ on the Throne in his mind. All of them have loyally followed the footsteps of Ibn Taymiyyah and Muhammad ibn `Abdul-Wahhab – the two arch-heretics who were instrumental in causing tribulation (fitna) and division among the Muslim masses because of their reprehensible, unorthodox interpretations of the Islamic sources. Allah existed eternally and there was nothing else [italics mine]. Sunni orthodoxy clears Allah of all directions and places. To a Sunni, Allah has always existed without the need of a place, and He did not take a place for Himself after creating it. Orthodox Sunni scholars have said exactly what was understood by Prophet Muhammad (s) and his Companions (ra). Imam Abu Hanifah, the great mujtahid Imam who lived in the time period of the Salaf said: “Allah has no limits…”, period. And this is what Sunni orthodoxy represents. Al-Ahsa’i Al-Misri, Ahmad (1753-1826): Unpublished manuscript of a refutation of the Wahhabi sect. His son Shaykh Muhammad ibn Ahmad ibn `Abd al-Latif al-Ahsa’i also wrote a book refuting them. Al-`Amrawi, `Abd al-Hayy, and `Abd al-Hakim Murad (Qarawiyyin University, Morocco): Al-tahdhir min al-ightirar bi ma ja’a fi kitab al-hiwar [“Warning Against Being Fooled By the Contents of the Book (by Ibn Mani`) A Debate With al-Maliki (an attack on Ibn `Alawi al-Maliki by a Wahhabi writer)”] (Fes: Qarawiyyin, 1984). `Ata’ Allah al-Makki: al-sarim al-hindi fil `unuq al-najdi [“The Indian Scimitar on the Najdi’s Neck”]. Al-Azhari, `Abd Rabbih ibn Sulayman al-Shafi`i (The author of Sharh Jami’ al-Usul li ahadith al-Rasul, a basic book of Usul al-Fiqh: Fayd al-Wahhab fi Bayan Ahl al-Haqq wa man dalla `an al-sawab, 4 vols. [“Allah’s Outpouring in Differentiating the True Muslims From Those Who Deviated From the Truth”]. Al-`Azzami, `Allama al-shaykh Salama (d. 1379H): Al-Barahin al-sati`at [“The Radiant Proofs…”]. Al-Barakat al-Shafi`i al-Ahmadi al-Makki, `Abd al-Wahhab ibn Ahmad: unpublished manuscript of a refutation of the Wahhabi sect. Al-Buti, Dr. Muhammad Sa`id Ramadan (University of Damascus): Al-Salafiyyatu marhalatun zamaniyyatun mubarakatun la madhhabun islami [“The Salafiyya is a blessed historical period not an Islamic school of law”] (Damascus: Dar al-fikr, 1988); Al-lamadhhabiyya akhtaru bid`atin tuhaddidu al-shari`a al-islamiyya [“Non-madhhabism is the most dangerous innovation presently menacing Islamic law”] (Damascus: Maktabat al-Farabi, n.d.). Al-Dahesh ibn `Abd Allah, Dr. (Arab University of Morocco), ed. Munazara `ilmiyya bayna `Ali ibn Muhammad al-Sharif wa al-Imam Ahmad ibn Idris fi al-radd `ala Wahhabiyyat Najd, Tihama, wa `Asir [“Scholarly Debate Between the Sharif and Ahmad ibn Idris Against the Wahhabis of Najd, Tihama, and `Asir”]. Dahlan, al-Sayyid Ahmad ibn Zayni (d. 1304/1886). Mufti of Mecca and Shaykh al-Islam (highest religious authority in the Ottoman jurisdiction) for the Hijaz region: al-Durar al-saniyyah fi al-radd ala al-Wahhabiyyah [“The Pure Pearls in Answering the Wahhabis”] pub. Egypt 1319 & 1347 H; Fitnat al-Wahhabiyyah [“The Wahhabi Fitna”]; Khulasat al-Kalam fi bayan Umara’ al-Balad al-Haram [“The Summation Concerning the Leaders of the Sacrosanct Country”], a history of the Wahhabi fitna in Najd and the Hijaz. al-Dajwi, Hamd Allah: al-Basa’ir li Munkiri al-tawassul ka amthal Muhd. Ibn `Abdul Wahhab [“The Evident Proofs Against Those Who Deny the Seeking of Intercession Like Muhammad Ibn `Abdul Wahhab”]. Shaykh al-Islam Dawud ibn Sulayman al-Baghdadi al-Hanafi (1815-1881 CE): al-Minha al-Wahbiyya fi radd al-Wahhabiyya [“The Divine Dispensation Concerning the Wahhabi Deviation”]; Ashadd al-Jihad fi Ibtal Da`wa al-Ijtihad [“The Most Violent Jihad in Proving False Those Who Falsely Claim Ijtihad”]. Al-Falani al-Maghribi, al-Muhaddith Salih: authored a large volume collating the answers of scholars of the Four Schools to Muhammad ibn `Abd al-Wahhab. al-Habibi, Muhammad `Ashiq al-Rahman: `Adhab Allah al-Mujdi li Junun al-Munkir al-Najdi [“Allah’s Terrible Punishment for the Mad Rejector From Najd”]. Sayyidi `Abd Allah ibn `Alawi al-Haddad al-Shafi`i: al-Sayf al-batir li `unq al-munkir `ala al-akabir [“The Sharp Sword for the Neck of the Assailant of Great Scholars”]. Unpublished manuscript of about 100 folios; Misbah al-anam wa jala’ al-zalam fi radd shubah al-bid`i al-najdi al-lati adalla biha al-`awamm [“The Lamp of Mankind and the Illumination of Darkness Concerning the Refutation of the Errors of the Innovator From Najd by Which He Had Misled the Common People”]. Published 1325H. Al-Hamami al-Misri, Shaykh Mustafa: Ghawth al-`ibad bi bayan al-rashad [“The Helper of Allah’s Servants According to the Affirmation of Guidance”]. Al-Hilmi al-Qadiri al-Iskandari, Shaykh Ibrahim: Jalal al-haqq fi kashf ahwal ashrar al-khalq [“The Splendor of Truth in Exposing the Worst of People] (pub. 1355H). Al-Husayni, `Amili, Muhsin (1865-1952). Kashf al-irtiyab fi atba` Muhammad ibn `Abd al-Wahhab [“The Dispelling of Doubt Concerning the Followers of Muhammad ibn `Abd al-Wahhab”]. [Yemen? ]: Maktabat al-Yaman al-Kubra, 198?. Al-Kabbani, Muhammad Hisham, Encyclopedia of Islamic Doctrine, vol. 1-7, As-Sunnah Foundation of America, 1998. _____, Islamic Beliefs and Doctrine According to Ahl as-Sunna – A Repudiation of “Salafi” Innovations, ASFA, 1996. _____, Innovation and True Belief: the Celebration of Mawlid According to the Qur’an and Sunna and the Scholars of Islam, ASFA, 1995. _____, Salafi Movement Unveiled, ASFA, 1997. Ibn `Abd al-Latif al-Shafi`i, `Abd Allah: Tajrid sayf al-jihad `ala mudda`i al-ijtihad [“The drawing of the sword of jihad against the false claimants to ijtihad”]. The family of Ibn `Abd al-Razzaq al-Hanbali in Zubara and Bahrayn possess both manuscript and printed refutations by scholars of the Four Schools from Mecca, Madina, al-Ahsa’, al-Basra, Baghdad, Aleppo, Yemen and other Islamic regions. Ibn `Abd al-Wahhab al-Najdi, `Allama al-Shaykh Sulayman, elder brother of Muhammad ibn `Abd al-Wahhab: al-Sawa’iq al-Ilahiyya fi al-radd ‘ala al-Wahhabiyya [“Divine Lightnings in Answering the Wahhabis”]. Ed. Ibrahim Muhammad al-Batawi. Cairo: Dar al-insan, 1987. Offset reprint by Waqf Ikhlas, Istanbul: Hakikat Kitabevi, 1994. Prefaces by Shaykh Muhammad ibn Sulayman al-Kurdi al-Shafi`i and Shaykh Muhammad Hayyan al-Sindi (Muhammad Ibn `Abd al-Wahhab’s shaykh) to the effect that Ibn `Abd al-Wahhab is “dall mudill” (“misguided and misguiding”). Ibn `Abidin al-Hanafi, al-Sayyid Muhammad Amin: Radd al-muhtar `ala al-durr al-mukhtar, Vol. 3, Kitab al-Iman, Bab al-bughat [“Answer to the Perplexed: A Commentary on “The Chosen Pearl,”” Book of Belief, Chapter on Rebels]. Cairo: Dar al-Tiba`a al-Misriyya, 1272 H.
Ibn `Afaliq al-Hanbali, Muhammad Ibn `Abdul Rahman: Tahakkum al-muqallidin bi man idda`a tajdid al-din [Sarcasm of the muqallids against the false claimants to the Renewal of Religion]. A very comprehensive book refuting the Wahhabi heresy and posting questions which Ibn `Abdul Wahhab and his followers were unable to answer for the most part. Ibn Khalifa `Ulyawi al-Azhari: Hadhihi `aqidatu al-salaf wa al-khalaf fi dhat Allahi ta`ala wa sifatihi wa af`alihi wa al-jawab al-sahih li ma waqa`a fihi al-khilaf min al-furu` bayna al-da`in li al-Salafiyya wa atba` al-madhahib al-arba`a al-islamiyya [“This is the doctrine of the Predecessors and the Descendants concerning the divergences in the branches between those who call to al-Salafiyya and the followers of the Four Islamic Schools of Law”] (Damascus: Matba`at Zayd ibn Thabit, 1398/1977. Kawthari al-Hanafi, Muhammad Zahid. Maqalat al-Kawthari. (Cairo: al-Maktabah al-Azhariyah li al-Turath, 1994). Khazbek, Shaykh Hasan: Al-maqalat al-wafiyyat fi al-radd `ala al-wahhabiyyah [“Complete Treatise in Refuting the Wahhabis”]. Makhluf, Muhammad Hasanayn: Risalat fi hukm al-tawassul bil-anbiya wal-awliya [“Treatise on the Ruling Concerning the Use of Prophets and Saints as Intermediaries”]. Al-Maliki al-Husayni, Al-muhaddith Muhammad al-Hasan ibn `Alawi: Mafahimu yajibu an tusahhah [“Notions that should be corrected”] 4th ed. (Dubai: Hashr ibn Muhammad Dalmuk, 1986); Muhammad al-insanu al-kamil [“Muhammad, the Perfect Human Being”] 3rd ed. (Jeddah: Dar al-Shuruq, 1404/1984). Al-Mashrifi al-Maliki al-Jaza’iri: Izhar al-`uquq mimman mana`a al-tawassul bil nabi wa al-wali al-saduq [“The Exposure of the Disobedience of Those Who Forbid Using the Intermediary of the Prophets and the Truthful Saints]. Al-Mirghani al-Ta’ifi, `Allama `Abd Allah ibn Ibrahim (d. 1793): Tahrid al-aghbiya’ `ala al-Istighatha bil-anbiya’ wal-awliya [“The Provocations of the Ignorant Against Seeking the Help of Prophets and Saints”] (Cairo: al-Halabi, 1939). Mu’in al-Haqq al-Dehlawi (d. 1289): Sayf al-Jabbar al-maslul `ala a`da’ al-Abrar [“The Sword of the Almighty Drawn Against the Enemies of the Pure Ones”]. Al-Muwaysi al-Yamani, `Abd Allah ibn `Isa: Unpublished manuscript of a refutation of the Wahhabi sect. Al-Nabahani al-Shafi`i, al-qadi al-muhaddith Yusuf ibn Isma`il (1850-1932): Shawahid al-Haqq fi al-istighatha bi sayyid al-Khalq (s) [“The Proofs of Truth in the Seeking of the Intercession of the Prophet”]. Al-Qabbani al-Basri al-Shafi`i, Allama Ahmad ibn `Ali: A manuscript treatise in approximately 10 chapters. Al-Qadumi al-Nabulusi al-Hanbali: `AbdAllah: Rihlat [“Journey”]. Al-Qazwini, Muhammad Hasan, (d. 1825). Al-Barahin al-jaliyyah fi raf` tashkikat al-Wahhabiyah [“The Plain Demonstrations That Dispel the Aspersions of the Wahhabis”]. Ed. Muhammad Munir al-Husayni al-Milani. 1st ed. Beirut: Mu’assasat al-Wafa’, 1987. Al-Qudsi: al-Suyuf al-Siqal fi A`naq man ankara `ala al-awliya ba`d al-intiqal [“The Burnished Swords on the Necks of Those Who Deny the Role of Saints After Their Leaving This World”]. Al-Rifa`i, Yusuf al-Sayyid Hashim, President of the World Union of Islamic Propagation and Information: Adillat Ahl al-Sunna wa al-Jama`at aw al-radd al-muhkam al-mani` `ala munkarat wa shubuhat Ibn Mani` fi tahajjumihi `ala al-sayyid Muhammad `Alawi al-Maliki al-Makki [“The Proofs of the People of the Way of the Prophet and the Muslim Community: or, the Strong and Decisive Refutation of Ibn Mani`’s Aberrations and Aspersions in his Assault on Muhammad `Alawi al-Maliki al-Makki”] (Kuwait: Dar al-siyasa, 1984). Al-Samnudi al-Mansuri, al-`Allama al-Shaykh Ibrahim: Sa`adat al-darayn fi al-radd `ala al-firqatayn al-wahhabiyya wa muqallidat al-zahiriyyah [“Bliss in the Two Abodes: Refutation of the Two Sects, Wahhabis and Zahiri Followers”]. Al-Saqqaf al-Shafi`i, Hasan ibn `Ali, Islamic Research Intitute, Amman, Jordan: al-Ighatha bi adillat al-istighatha wa al-radd al-mubin `ala munkiri al-tawassul [“The Mercy of Allah in the Proofs of Seeking Intercession and the Clear Answer to Those who Reject it”]; Ilqam al hajar li al-mutatawil `ala al-Asha`ira min al-Bashar [“The Stoning of All Those Who Attack Ash’aris”]; Qamus shata’im al-Albani wa al-alfaz al-munkara al-lati yatluquha fi haqq ulama al-ummah wa fudalai’ha wa ghayrihim… [“Encyclopedia of al-Albani’s Abhorrent Expressions Which He Uses Against the Scholars of the Community, its Eminent Men, and Others…”] Amman : Dar al-Imam al-Nawawi, 1993. Al-Sawi al-Misri: Hashiyat `ala al-jalalayn [“Commentary on the Tafsir of the Two Jalal al-Din”]. Sayf al-Din Ahmed ibn Muhammad: Al-Albani Unveiled: An Exposition of His Errors and Other Important Issues, 2nd ed. (London: s.n., 1994). Al-Shatti al-Athari al-Hanbali, al-Sayyid Mustafa ibn Ahmad ibn Hasan, Mufti of Syria: al-Nuqul al-shar’iyyah fi al-radd ‘ala al-Wahhabiyya [“The Legal Proofs in Answering the Wahhabis”]. Al-Subki, al-hafiz Taqi al-Din (d. 756/1355): Al-durra al-mudiyya fi al-radd `ala Ibn Taymiyya, ed. Muhammad Zahid al-Kawthari [“The Luminous Pearl: A Refutation of Ibn Taymiyya”]; Al-rasa’il al-subkiyya fi al-radd `ala Ibn Taymiyya wa tilmidhihi Ibn Qayyim al-Jawziyya, ed. Kamal al-Hut [“Subki’s treatises in Answer to Ibn Taymiyya and his pupil Ibn Qayyim al-Jawziyya”] (Beirut: `Alam al-Kutub, 1983); Al-sayf al-saqil fi al-radd `ala Ibn Zafil [“The Burnished Sword in Refuting Ibn Zafil (Ibn Qayyim al-Jawziyya)” Cairo: Matba`at al-Sa`ada, 1937; Shifa’ al-siqam fi ziyarat khayr al-anam [“The healing of the sick in visiting the Best of Creation”]. Sunbul al-Hanafi al-Ta’ifi, Allama Tahir: Sima al-Intisar lil awliya’ al-abrar [“The Mark of Victory Belongs to Allah’s Pure Friends”]. Al-Tamimi al-Maliki, `Allama Isma`il (d. 1248), Shaykh al-Islam in Tunis: wrote a refutation of a treatise of Ibn `Abd al-Wahhab. Al-Wazzani, al-Shaykh al-Mahdi, Mufti of Fes, Morocco: Wrote a refutation of Muhammad `Abduh’s prohibition of tawassul. al-Zahawi al-Baghdadi, Jamil Effendi Sidqi (d. 1355/1936): al-Fajr al-Sadiq fi al-radd ‘ala munkiri al-tawassul wa al-khawariq [“The True Dawn in Refuting Those Who Deny the Seeking of Intercession and the Miracles of Saints”] Pub. 1323/1905 in Egypt. Al-Zamzami al-Shafi`i, Muhammad Salih, Imam of the Maqam Ibrahim in Mecca, wrote a book in 20 chapters against them according to al-Sayyid al-Haddad. Ahmad, Qeyamuddin. The Wahhabi movement in India. 2nd rev. ed. New Delhi : Manohar, 1994. Lacy, Robert. The Kingdom: Arabia & the House of Sa`ud ‎. p. 59. Zahawi, Jamal E (1996) The Doctrine of Ahl al-Sunna Versus the ‘Salafi’ Movement. Translated by Shaykh Muhammad Hisham Kabbani. As-Sunna Foundation of America. For example, orthodox Sunni scholar Abu Ala Bukhari accused people of unbelief (kufr) if they called Ibn Taymiyah “Shaykh”. Imam Zahid al-Kawthari accused Ibn Taymiyah’s positions on the creed to be tantamount to apostasy. Gilles, Kepel. Jihad: The Trail of Political Islam, p. 72. Sivan, Emmanuel. Radical Islam: Medieval Theology and Modern Politics. Yale University Press, New Haven and London. pg. 102-103. Kabbani, Hisham M (1996). Islamic Beliefs & Doctrine According to Ahl al-Sunna A Repudiation of “Salafi” Innovations. Volume I. As-Sunna Foundation of America. Safran, Nadav. (1988). Saudi Arabia: The Ceaseless Quest for Security. Cornell University Press: Ithaca, NY. Pg. 11. Safran, Nadav. (1988). Saudi Arabia: The Ceaseless Quest for Security. Cornell University Press: Ithaca, NY. Pg. 12. Bagot, Blubb, Sir J. (1961). War in the Desert .New York: Norton. Pg. 44. Abdul Aziz ibn Abdullah ibn Baz. “Shaykh Muhammad Ibn Abdul-Wahhab.” Available: http://www.alinaam.org.za/library/hist_bio/ibnwahhaab.htm. 1 Response to "WAHHABISM: UNDERSTANDING THE ROOTS"